The day Jacinda Ardern reformed gun laws, her baby learnt to crawl. Six days after the Christchurch mosque attacks claimed the lives of 50 people, New Zealand Prime Minister Jacinda Ardern announced today New Zealand will ban military-style semi-automatic rifles immediately. Days before, powerful imagery of her apologising to victims of the terrorist attack in a black hijab, her expression one of deep sorrow, circulated news outlets with words of the highest praise. Jacinda Ardern has redefined what it means to be a leader in a time of crisis. Post continues after video. Then, she vowed to never utter the name of the mosque shooter, denying him the infamy that he sought for his unfathomable act. Her genuine compassion, and her quick response to the horror that unfolded last Friday echoed the same global sentiment: this is how a leader should act in times of crisis. And while Jacinda Ardern is out making the world a safer place, at home, her daughter has just learnt to crawl. “For her 9 month birthday today we received the gift of crawling,” he accompanied the image. Words that simply can’t encapsulate Ardern more accurately. 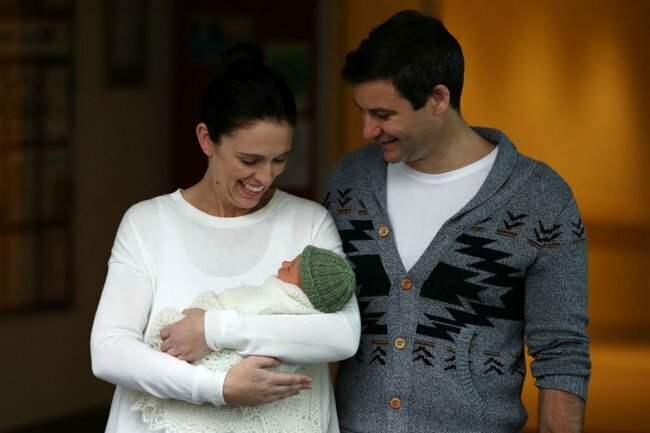 Ardern, 38 – who was elected New Zealand’s youngest leader in 150 years in 2017 – welcomed her daughter, Neve Te Aroha, in June 2018, becoming just the second world leader to give birth while in office. “I’ll be PM and a mum while Clarke will be ‘first man of fishing’ and stay-at-home dad,” she tweeted on revealing her pregnancy. Included in her statement, she predicted the stream of questions – and perhaps criticism – she would receive from those with outdated views about what pregnant women and working mothers can accomplish. It was expected people would doubt her. She took six weeks of maternity leave before returning to the country’s top job. Her partner Gayford became a stay-at-home dad. 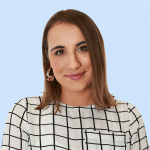 While this should not have been remarkable, in a world where women – especially mothers – are forever scrutinised for their career and family choices, at the time, it was. And now, here she stands, the globally-recognised definition of a true leader. All with a nine-month-old baby at home. “Australians will be feeling this too.” Jacinda Ardern’s message to Australia.